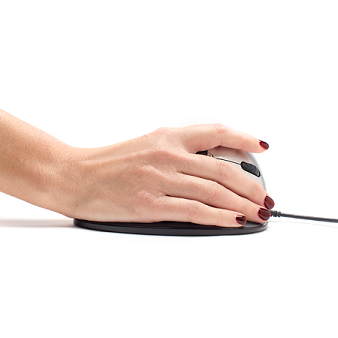 Ideal Slope: 66 degree slope creates optimal comfort and hand/wrist positioning. 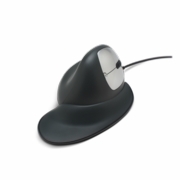 Flange Accessory: Detachable Ergo-grip flange keeps palm off the surface of the desk. Comfortable Feel: Anti-slip texture grip and rubberized coating provide maximum comfort. Forward/Back Keys: Page forward or Page back with convenient thumb keys. Adjustable Weights: Four detachable 5g block weights for customized weighting. Plug & Play: Insert the USB cable into an open USB port and begin mousing. 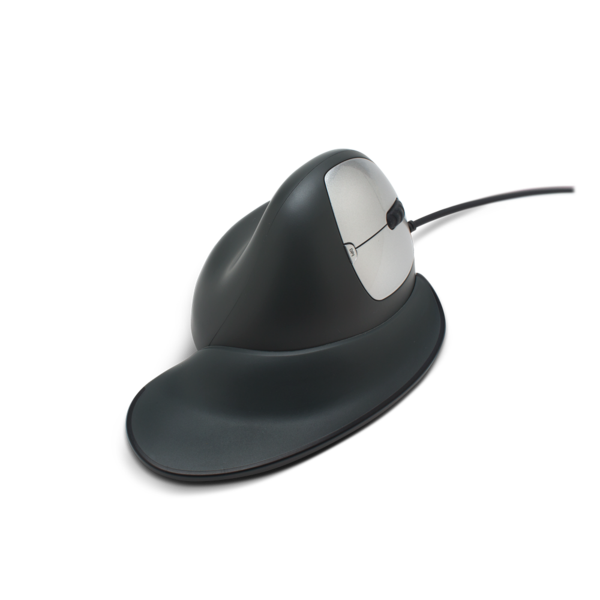 The revolutionary Goldtouch Semi-Vertical Mouse empowers users to enjoy maximum ergonomic comfort with precise accuracy. 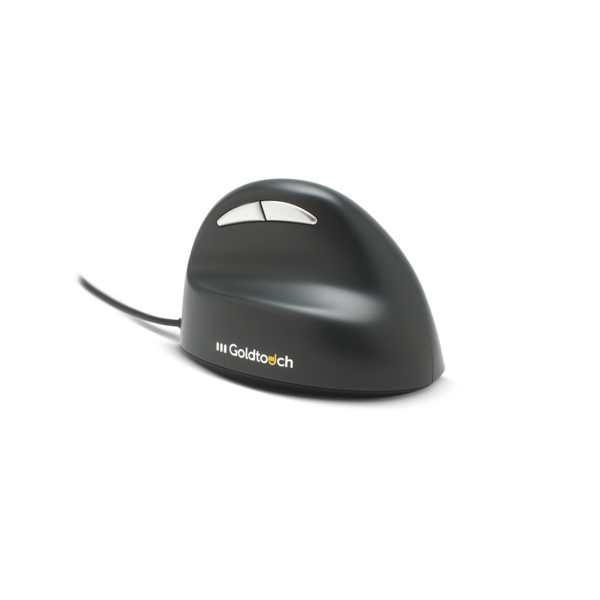 The Goldtouch Wired Semi-Vertical Mouse features 1000, 1500, 2000, and 2500 DPI optical resolution.